I know...it's 105 degrees outside and we're not even to Fall yet, but I can feel it. I know the school supplies at Target will only be there for two more weeks. Then, you know what moves in?? That's right. The Christmas trees, skirts, lights, ornaments, cards....and then.....the toys. "There were dolls that said mama and dolls that said goo. Dolls that made music and dolls that made poo. and a doll best of all that didn't do nuttin." I wholeheartedly agree. 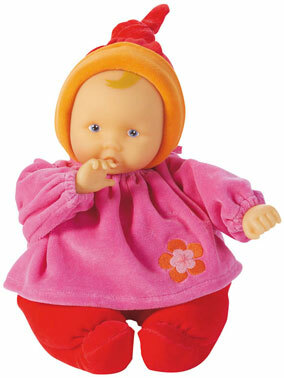 My favorite baby dolls are the ones that don't do 'nuttin.' 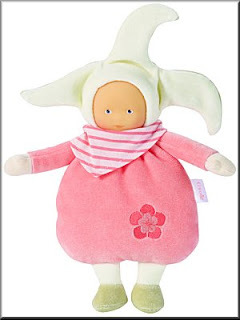 But there are still quite a few baby dolls on the market that are just "stuffed" so I thought I would offer some of my research insight with you on the best options for baby dolls. We also love to encourage baby doll play in our house because I heard a great quote once..."When a little girl plays with a Barbie, she wants to be like Barbie. When a little girl plays with a baby doll, she wants to be like mommy." Our favorite...Corolle Dolls. They are manufactured in France and contain no BPA. 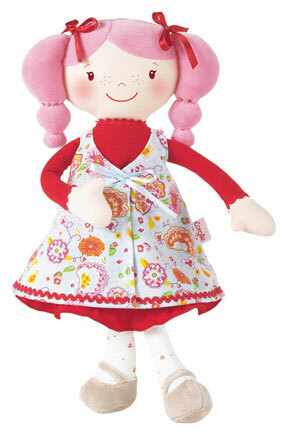 They also have different dolls for different ages. 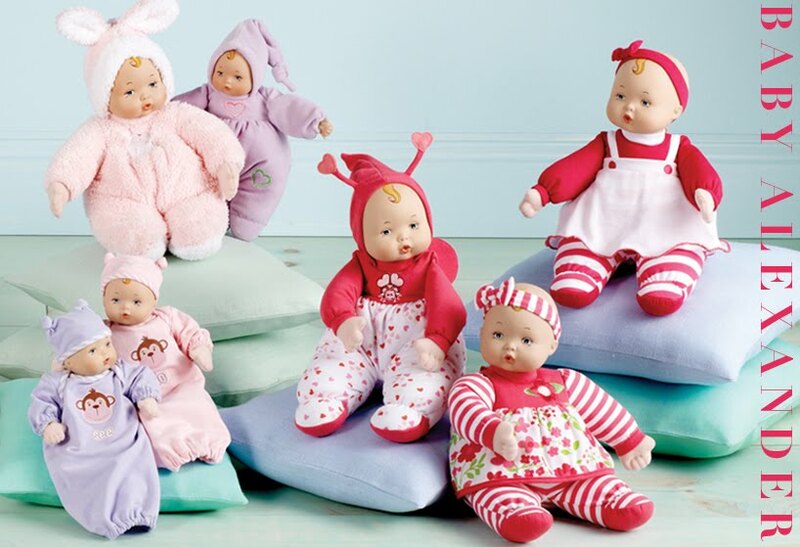 The newborn baby dolls are either stuffed with just a plastic face and hands or just a lovey with a face, or completely stuffed and made of cloth. As your little one gets older Corolle offers dolls for 18 months+. 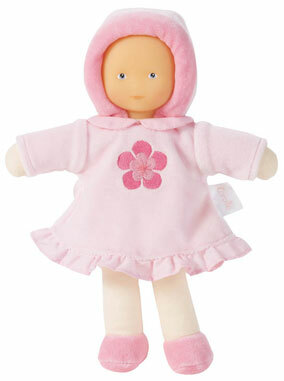 Our favorite is the Calin doll. You may remember that a certain "Calin" is my fourth daughter. Another favorite is Tidoo. She's a Calin that can get wet. As a bonus, the dolls smell like vanilla. Another brand we love that contains no BPA is Madame Alexander. Most know her as the maker of famous porcelain dolls, but she does so much more. These are a few of her "baby" dolls. 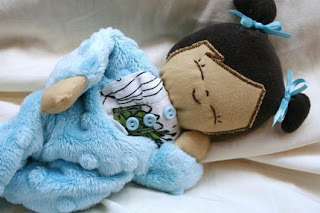 I was recently introduced to a wonderful shop on etsy.com that makes baby dolls. Lovies for my Babies. She uses all fabric (great for babies!) and they are all machine washable. 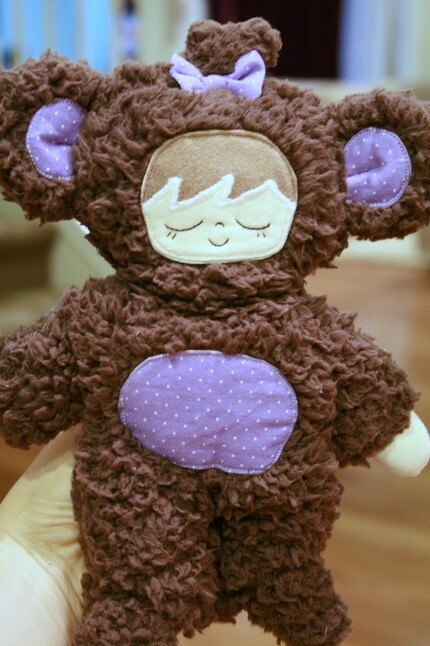 She does use "beanbag" type material to weight the babies so I can't be sure if it's BPA free, but they are SO cute! And totally customizable. As your precious ones get older, it's doubtful that they will be able to avoid the American Girl catalog. 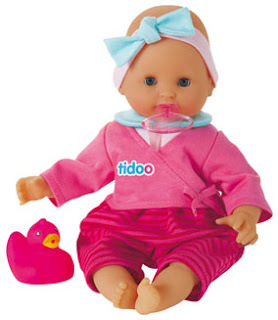 If she isn't ready for the historic dolls (or the 'just like me' dolls), a great option is Bitty Baby. We have one at our house and she is WELL loved! 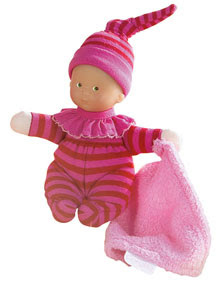 The great thing about Bitty Baby is that she is a great size and has a plethora of accessories made just for her. She's also available in a multitude of skin tones, hair color, and eye color. If BPA is not a concern, then some less expensive alternatives are the Fisher Price newborn dolls (and the Target knock off). Both are made in China, contain BPA, but are stuffed and cuddly, and don't do anything special. I hope this limited list is helpful for someone. :) Happy Shopping!! And please feel free to add to my list! I love to hear about other baby dolls. One of the things I don't miss about America is how quickly the stores change from one holiday to the next. I am surised on-line shops like ON have had holloween out for about a month already. I remember growing up we had a clown suit and a red sack that was either an apple or tomatoe or ladybug. I supose it would be good to get the Christmas lists done now before the toy craze hits the store. That way, your child can really say what he or she wants and not what TV or comercializing tells them they want. Oh boy - I don't really know much about dolls, but as Em is getting more maternal I'm sure dolls will be asked for more and more. Thank you for the tips!